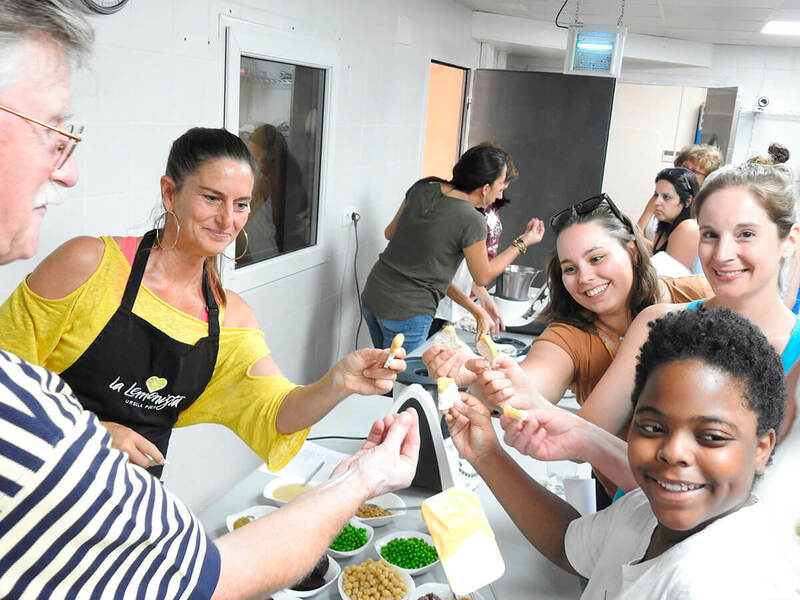 » Receive nutritional and culinary instruction under the expert guidance of our Food Team Facilitators and learn how to navigate the challenges of a whole food, plant-based lifestyle with new skills and confidence. » Savor some of the unique flavors of Spanish cuisine. » Leave with the skills, confidence and recipes to incorporate more whole foods into your daily diet. * Our meals will be completely plant-based (no meat or dairy) and mostly gluten free. Dietary restrictions can be accommodated. » Experience how conscious movement of the body can enhance free flow of energy, essential to healing and health. 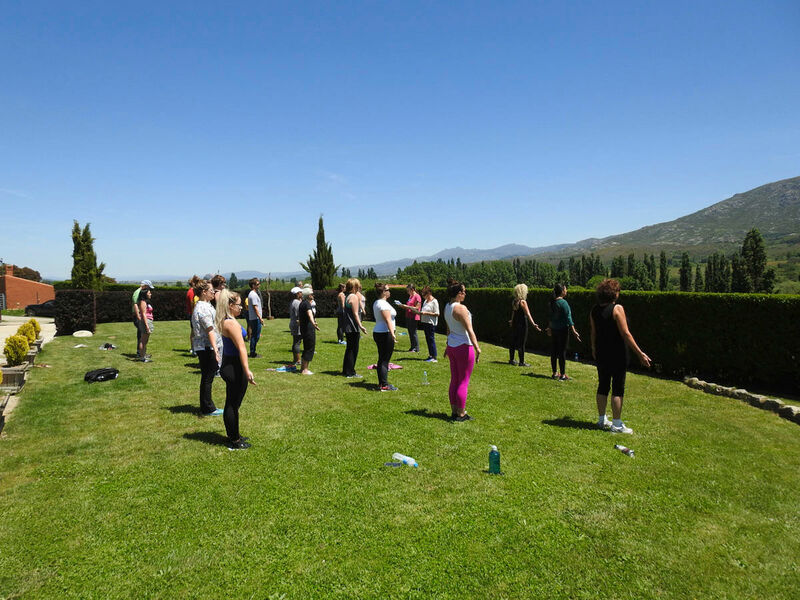 » Experience Yoga, Dance, Gentle Movement and Stretching, Hiking, Horseback Riding and Walking in the sanctuary of the Spanish sierra. » Self-Care, Integrative Health and Your Health: Explore the treasured practices of healing and health in the conscious journey of self-care. You will learn to ameliorate the effects of stress associated with 21st Century life through mindfulness, meditation and other daily self-care practices whose roots come from ancient disciplines. » Sound Bath: Open up to the experience of meditation to music. Musicians, artists and composers Maia Ibar and Tristan Martineau offer deep transformational experiences that invite you to enter a place of self-reflection while just letting go and listening, and helping you feel a sense of inner peace while receiving a gentle sound massage. » Odyssey Family Systems: Explore your internal and external family systems, also known as your family constellation. Sketch the conflict loops that you form with yourself and others that divert and consume your energy, and learn how to break these loops. Delve into themes that illuminate, from various angles, the only person in your life whom you can change—you. » The Project of Forgiving: You will map your journey’s planned and unplanned turning points and identify those that created traumas which still need your attention. You will learn to frame forgiving as a project with a beginning, middle and end. This opens you to energetic forces that support this worthy challenge: that of forgiving ourselves and others. » Jin Shin Jyutsu: Traditionally, people saw no distinctions among body, mind and spirit. They promoted physical, mental, emotional and spiritual healing by developing practices that assisted the body to heal itself. Each of us possesses what we need to bring about harmonious balance—breath and hands. The ancient art of Jin Shin Jyutsu is a meridian-based discipline that will enhance your self-care practice. »Mindfulness and Meditation: You will have daily opportunities to bring your practice of self-care and experience meditating in the tranquil beauty of the Spanish sierra. » Generous and Reflective Listening: Deep listening holds great power. Dr. Rachel Naomi Remen has taught much about what she calls “Generous Listening”. Building upon her work, you will learn to listen, really listen, to yourself and to others. » Energy Medicine: Our bodies and all of our surroundings are made of energy. In your high school science class, you may have learned Einstein’s theory that “energy can be neither created nor destroyed; it can only be changed from one form to another.” Your life and health are profoundly affected by whether energy is flowing freely or is blocked. Learn to become conscious of your internal energy and the external energies that affect you, and learn the scientific evidence that supports adding energy work to your daily self-care practice. Registrations are subject to available space at the retreat center. All payments for accepted registrations are non-refundable unless the retreat is cancelled by International Integrators LLC, in which case all payments will be refunded in full.  International Integrators LLC reserves the right to cancel the retreat at any time prior to April 30, 2019 if not enough participants have registered and paid in full. To whet your appetite…here is the first day’s schedule and the themes for the week. 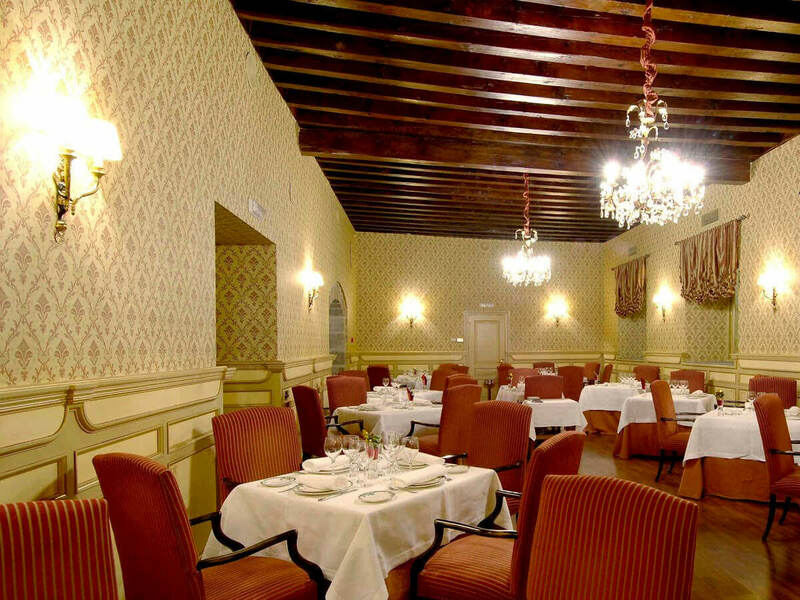 Living Whole begins at the Hotel Palacio de los Velada in Avila, Spain. 4:30pm Bus transportation (30 km) to the Posada Real Torre del Mayorazgo. Check in, settle into your beautiful room in the Sierra de Serrota. 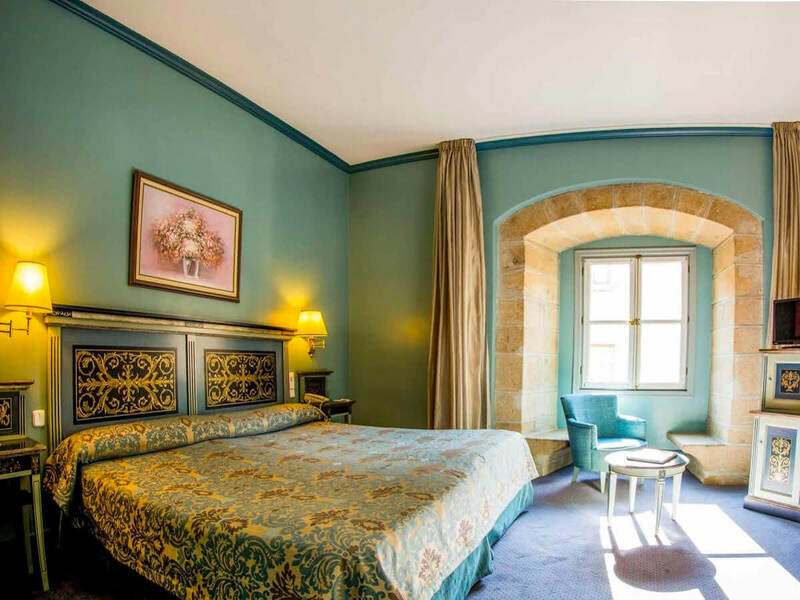 Before: June 14 and 15 Enjoy two nights in our block of reserved rooms in the beautiful Hotel Palacio de los Velada in the ancient city of Ávila, Spain. Ávila is a UNESCO World Heritage Site, and the Walls of Ávila form the largest fully illuminated monument in the world. Saint Teresa of Ávila was a 16th century mystic and author, and her writings will inspire you as you explore the cathedral, basilica, churches, cafes, shops and streets of this fascinating city. Indicate your interest in space in our block of reserved rooms when you register for the retreat. 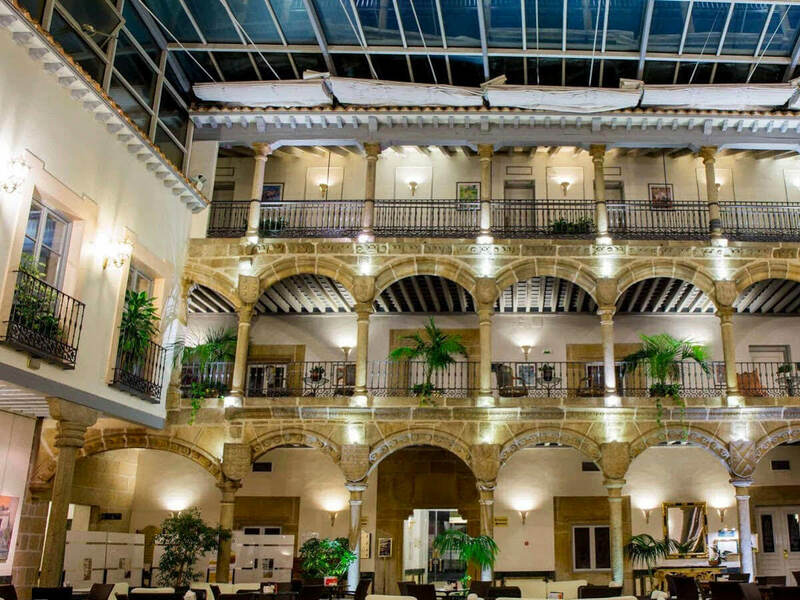 After: June 21 Join us on a bus at 3pm on Friday to travel from the Posada to the Hotel NH Collection Madrid Colon centrally located in the heart of Madrid. Indicate your interest in our block of rooms when you register for the retreat. 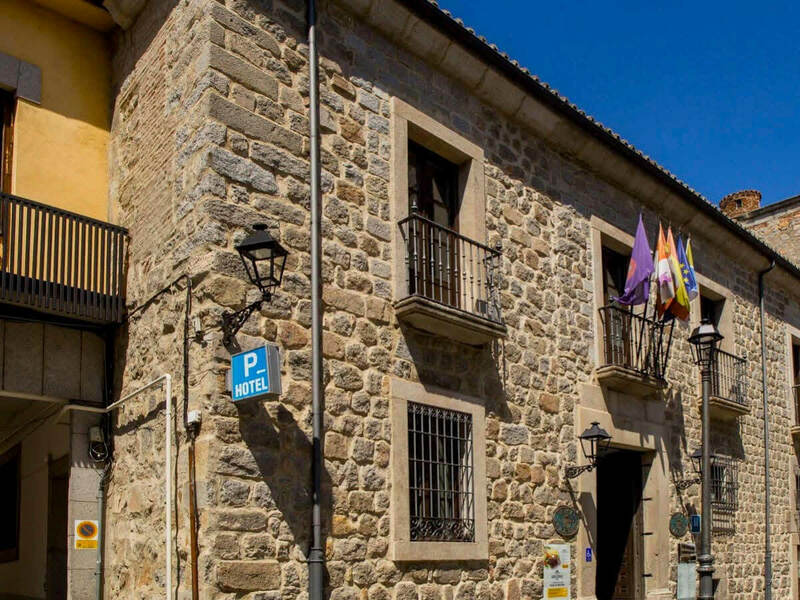 At 8pm, enjoy a short walk to La Huerta de Tudela. 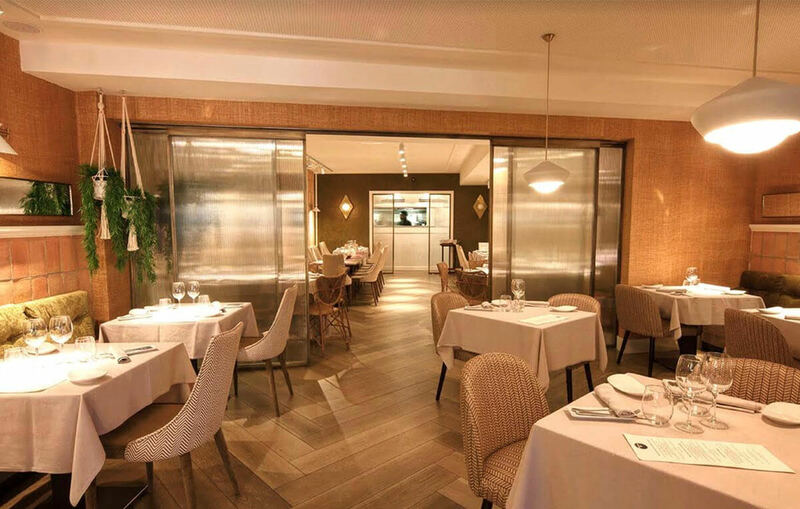 There we can celebrate a final dinner together in one of our favorite Madrid restaurants that offers a full menu including delicious whole, plant-based options (estimated at 70-80 euros per person, depending upon wine/beer, paid directly to the restaurant). You may add these extras when you register. The Posada Real Torre del Mayorazgo (The Royal Inn of the Tower of Mayorazgo) is a beautiful, peaceful retreat center located one and a half hours northwest of Madrid, Spain, in the Sierra de Serrota, which is part of the Cara Norte de Gredos (North Face of Gredos), an extensive region that includes a gorgeous national park. During the Napoleonic Wars, many medieval castles in Spain were destroyed and lay in ruins in the countryside until a Spanish government program offered incentives for private citizens to purchase and renovate them, as long as the renovations honored their historic importance. Andoni Nieto and Teresa Jiménez undertook this labor of love two decades ago, and have created a lovely, warm, welcoming center that offers a place of refuge for reflection, healing and growth, and for communion with nature. Bedrooms in each suite have the option of a double bed or two single beds, with a bathroom in each suite. Most suites have a fireplace. There are a limited number of suites that accommodate four individuals who share one in-suite bathroom. Large dining room for meals and a spacious commercial kitchen. Smaller, intimate dining room with fireplace. Beautiful indoor and outdoor spaces for large and small group work. Wireless internet service is available in the common areas. Due to the remoteness of the center, cell phone service may not be reliable, depending on the provider. Within 10 days of acceptance of your registration, a deposit of $500.00 per participant is due. This deposit is non-refundable, except as provided above. Payment in full is due by March 15, 2019. If you reserve after March 15, 2019, payment in full is due 10 days after acceptance of your registration. One participant registering alone-$2,450 if registered by January 15, 2019 and $2,550 if registered thereafter. A roommate will be arranged for you. You will share a one-bedroom suite with twin beds and a bathroom. Two participants registering together and sharing the same one-bedroom suite-$2,350 each if registered by January 15, 2019 and $2,450 if registered thereafter. You may specify a configuration with twin beds or a double bed. Your suite will have a private bath. Four participants registering together and sharing a suite with two bedrooms and one bathroom-$2,250 each if registered by January 15, 2019 and $2,350 if registered thereafter. You may specify a configuration with twin beds or double beds. A deposit of $500 per participant is due within 10 days of acceptance of your registration. This deposit is non-refundable except as provided above. Payment in full is due by March 15, 2019. A limited number of single rooms are available in the Posada and in some nearby small hotels. The single supplement for these accommodations is $450.00. Transportation to and from the Posada is not included in the retreat fee. Bus transportation from the city of Avila to the Posada on June 16 and from the Posada to Madrid on June 21 is available for an extra charge.